In the time that has passed since powerful hurricanes decimated the Gulf Coast region in 2005, the recovery and rebuilding process continues to expose the deep vulnerabilities of a society that has not effectively addressed the legacy of racism. In response to the injustices, human suffering, destruction, and massive displacement caused by Hurricanes Katrina and Rita, the Ms. Foundation for Women, WFN and its partner funds, with the $1.3 million support of the W.K. 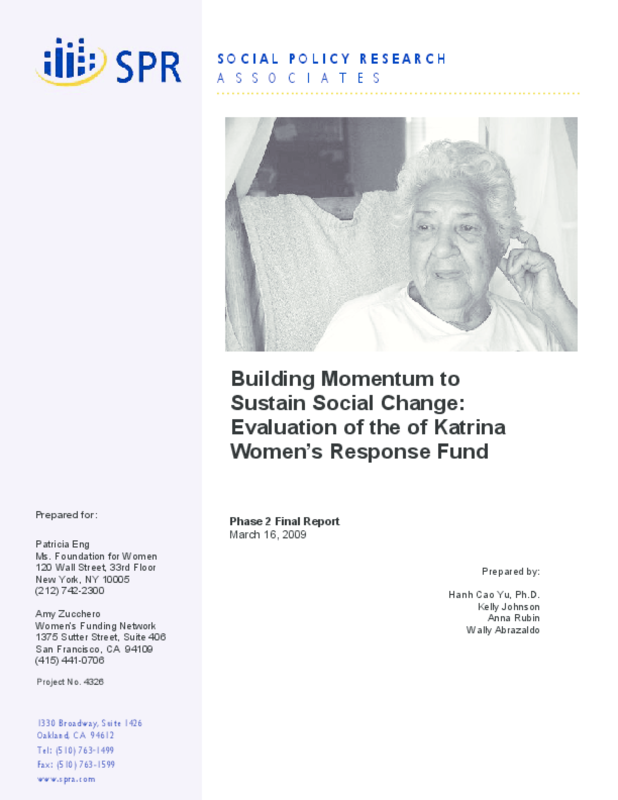 Kellogg Foundation, continued to strengthen the Katrina Women's Response Fund (KWRF).